This post is brought to you by Dove, which is a brand that I've used on a daily basis for years. It's no secret that I'm a fan of Dove. 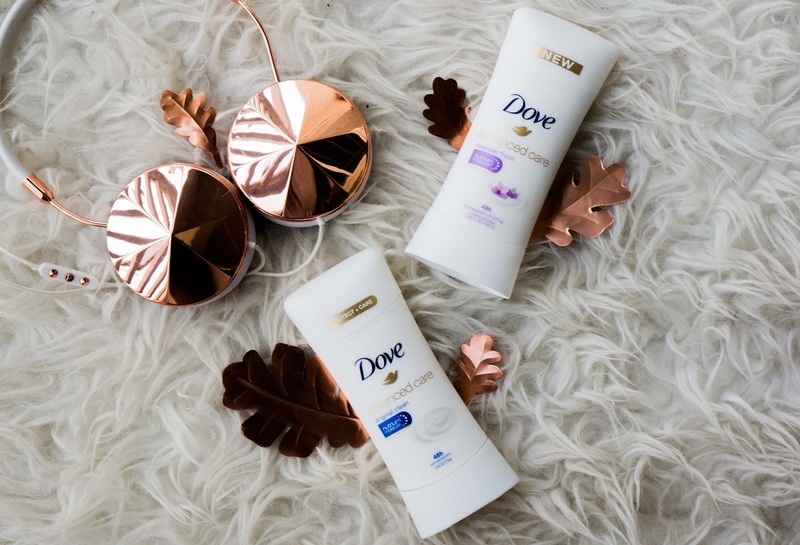 Do you remember when I wrote about Dove dry spray last year? 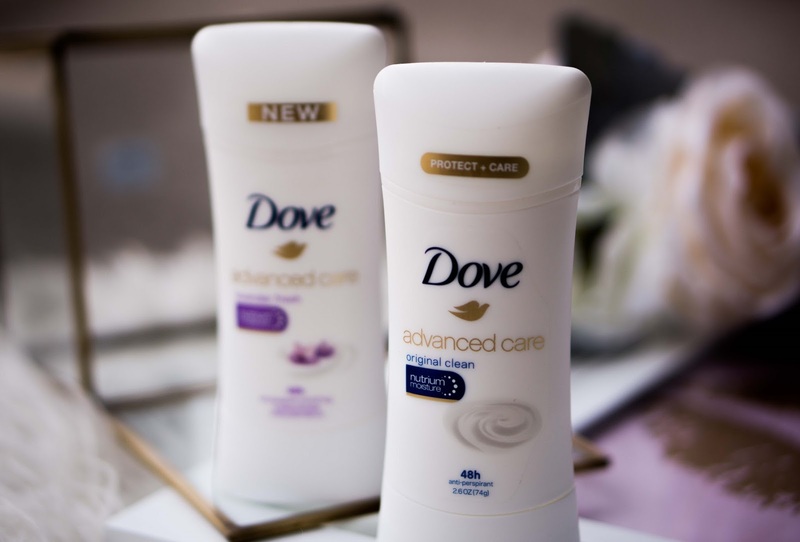 Well, I'm back at it again letting you know why I'm trading up my everyday deodorant for Dove Advanced Care Antiperspirant. With my super dry skin, I really have to be careful when it comes to skin care items. I never want to use a product that's going to make my skin even drier. That's why I love the Dove line so much. With underarms, I don't just want something that's going to smell nice and protect me from sweat (although, that's needed, too). I also want something that will care for my skin. 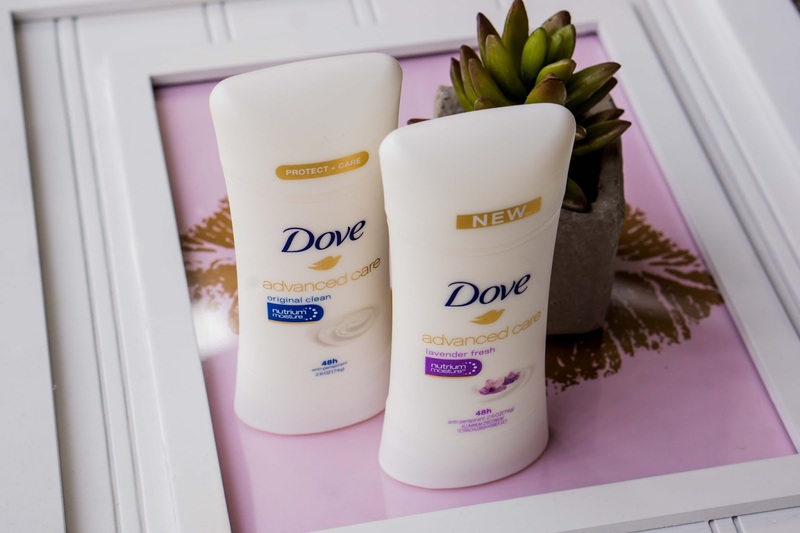 The Dove Advanced Care Antiperspirant does just that! You know when you go out on the weekend, party too hard and then end up dehydrated? That's the effect of alcohol. The same can be said when it comes to alcohol ingredients in your skin care routine. If you want your skin to stay hydrated and moisturized, then you want a product with 100 percent-free alcohol (ethanol) formulas. The Dove Advanced Care is ethanol free, includes moisturizing cream and stearyl alcohol, which acts as a lubricant on the skin's surface to provide a soft, smooth appearance. So during these dry, winter months, you can bet that I'm using the Dove Advanced Care because of its moisturizing abilities. It's so much easier for me to tackle the day ahead when I don't have to worry about dry skin. 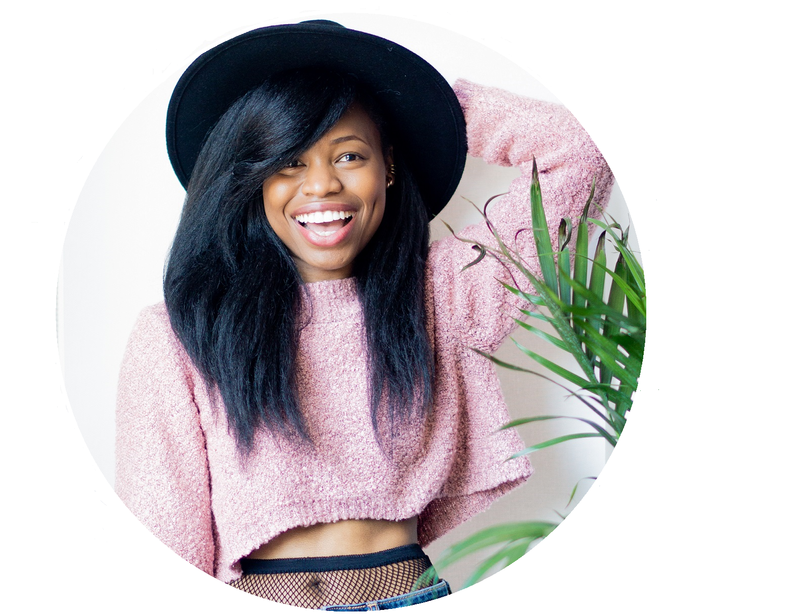 And seeing that I workout about five times a week, I definitely need to feel cool, confident and cared for -- and that starts with softer, smoother, moisturized underarms that also have 48-hour wetness and odor protection. There are many options to choose from in the advanced care line. 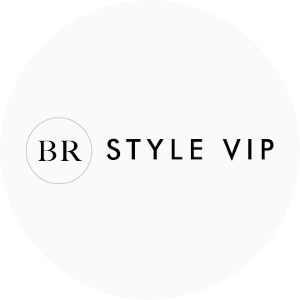 You can get the beauty finish for a gorgeous glow; clear tone to restore your natural skin tone; chamomile, coconut or shea butter scented formulas and many more. Plus, 9 out of 10 women agreed that Dove Advanced Care made their underarms soft and smooth -- and in just three days! 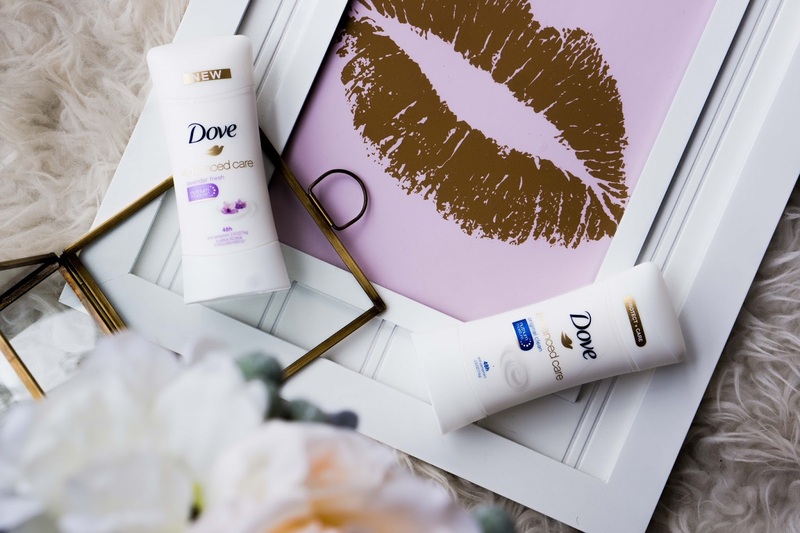 Even when we eventually spring into the warmer months and my skin is less dry, I'll still continue to use Dove Advanced Care because once you trade up, there's no going back. So if you haven't tried any products from Dove yet, especially the advanced care line, then you're truly missing out. I can't think of any drugstore brand that I would recommend more than Dove. What's your go-to antiperspirant these days? 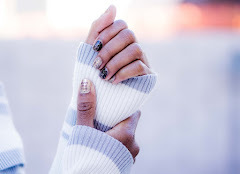 This is a sponsored post written by me on behalf of Dove Advanced Care Antiperspirant. All opinions are my own. 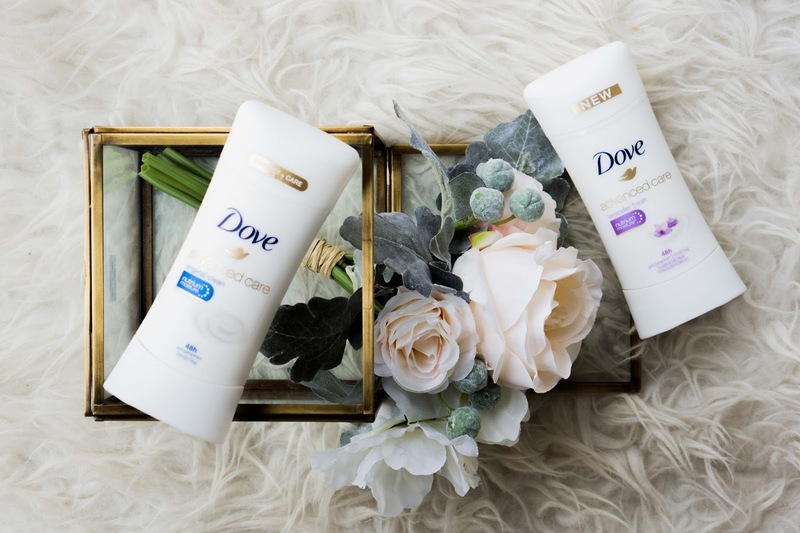 I've always used and loved Dove deodorant, so soft! Everyone on my Instagram keeps saying how soft it is -- so true! I really like this stuff. I've been using it for a while and been using Dove products, seemingly, since the dawn of time. LOL! Right, lol? I feel like I've been using Dove since forever. I also love their body washes. I miss their pink soap. I wish they'd bring it back! So happy you love the way the photos turned out, too! Good to know this works well for you. I made the switch to natural deodorants a few years ago and my current fave is Agent Nateur. It really does work. But I'll check out Agent Nateur, too, because I love the name. It's been my deo for years, the Advanced Care I have try. Yes, you must try it. I also really love their Clear Tone antiperspirants. I use Dove products and love them, particularly the body wash. Great products! I love Dove too! Was great to hear your thoughts and favorite products, gorgeous photos! Dove is such a classic! Dove is ALWAYS fantastic. I love their deodorant.